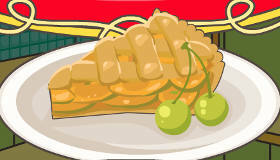 Decorate a fruit pie with Frankie Stein. 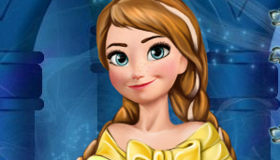 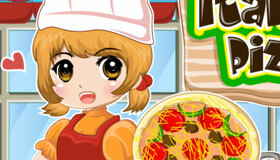 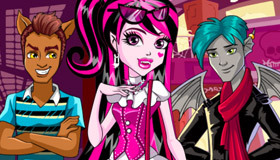 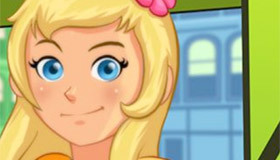 How to play the game "Baking Pie at Monster High Game"? 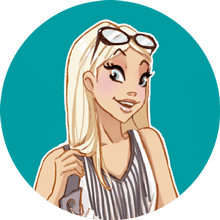 Start by choosing the type of pie you want to bake for Draculaura, then decorate it with lots of fruit, sprinkles, chocolate sauce and spooky decorations such as witch’s hats, spiderwebs and eyeballs. 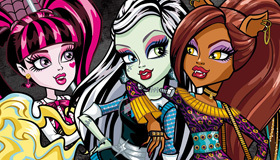 Bet the Monster High girls and boys will be licking their fangs when they see how tasty your fruit pie looks! 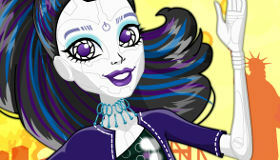 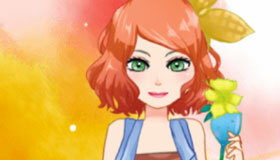 Have fun, and keep browsing the Celebrity section for more girls’ games with the Monster High gang. 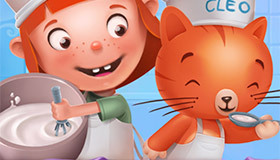 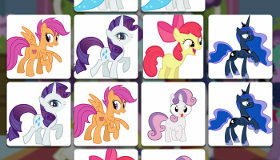 If you enjoyed Baking Pie at Monster High, you'll love these baking games just like me!